A balance transfer occurs when you use one credit card's available limit to pay off some or all of another card's balance. This is a technique sometimes used by consumers to consolidate or to move high-interest card balances to a lower-rate card. You should compare the transaction fee on a balance transfer to potential interest savings when contemplating such a move, though. A balance transfer fee is a one-time charge on a customer's account when he processes a balance transfer. Standard fees vary by provider, but they typically range from 3 to 5 percent of the transaction amount. Some cards have no cap on the fee, but others have a $5 minimum and $199 maximum on each transaction. Details are communicated in your credit card contract terms or in special offers. If you request a $2,000 transfer with a 5 percent fee, your transfer fee will be $100. This means you accrue a $2,100 balance on the card you transfer the original balance to. 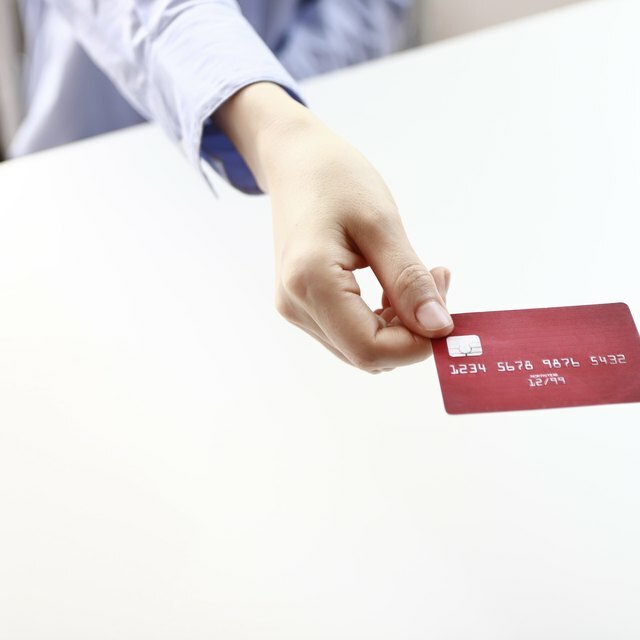 Credit card companies have often used special balance transfer promotional offers to entice new customers. You might get an offer in the mail from a company you don't have an account with. The offer might indicate no transfer fee or a smaller fee, such as 1 percent of the transfer amount. You might even get 0 percent interest on the balance for a year or so. A September 2012 Forbes.com article indicated that banks are increasingly moving away from balance transfer promotions because of the fact that they often don't recoup the lost finance charges. Each month that you carry a balance on a credit card, you pay interest fees based on the prescribed rates for your account. Normally, you have rates for purchases, balance transfers and cash advances. Each month, your minimum payment includes an amount toward interest as well as payment on the principal. The higher the interest rate, the more you pay each month and over time in interest. A card with a 9 percent rate is much more advantageous than a card with a 15 percent rate with regard to interest. Simple math can help you make a basic estimate as to whether a balance transfer makes sense. If you get a great promotion with no transfer fee and a year or more of no interest, the transfer often makes sense. You essentially save a year's worth of interest on the transferred balance. On a $1,000 credit card balance at 10 percent interest, you would pay around $100 in interest during the year. A balance transfer at 3 percent would cost $30. Thus, you would save around $70 within 12 months if you make minimum payments. If you intend to pay off a balance quickly, the transfer fee makes less sense.